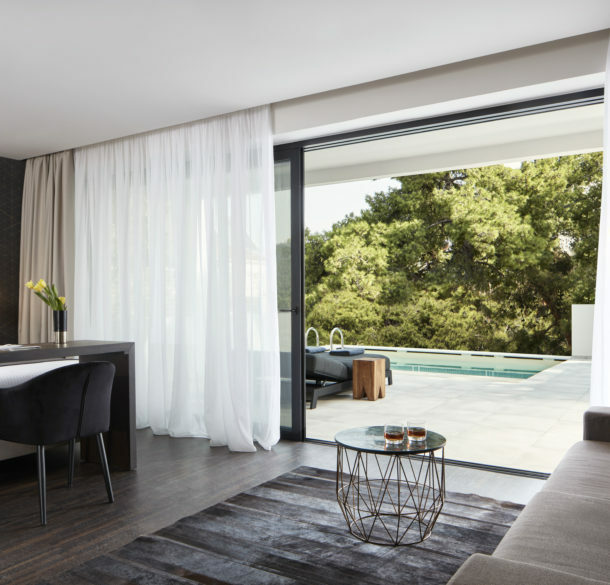 Feel at home in the heart of vibrant Vouliagmeni! 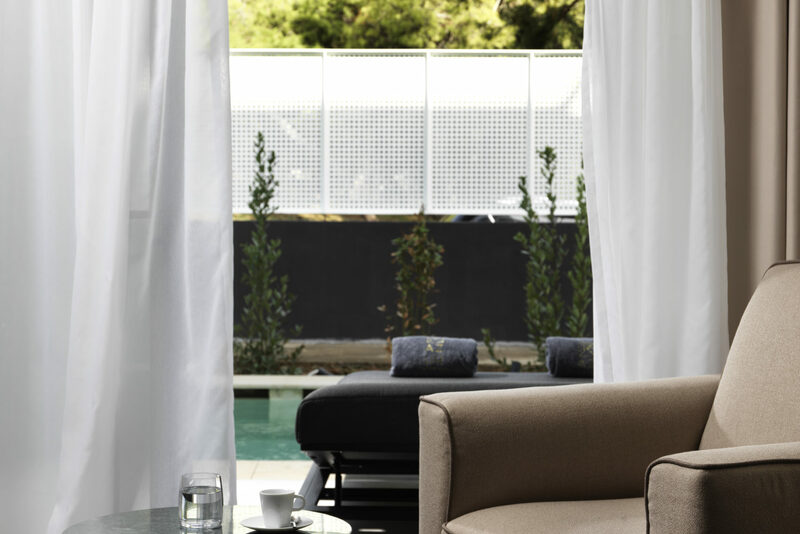 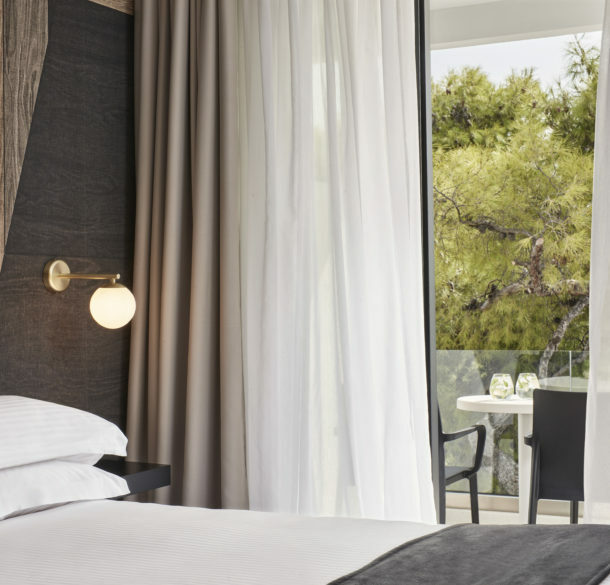 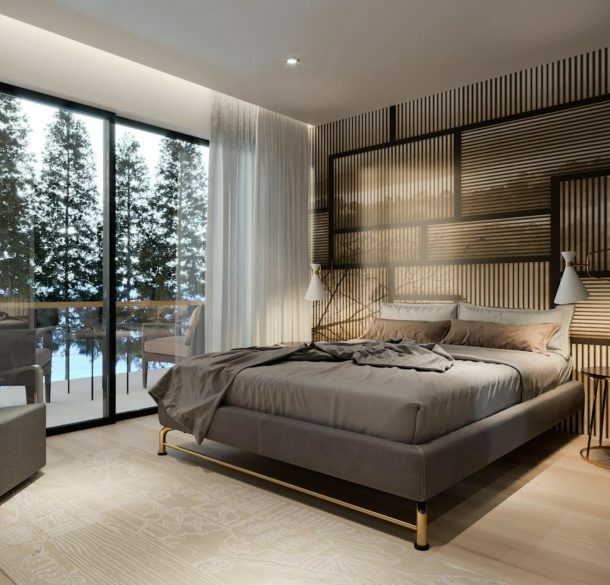 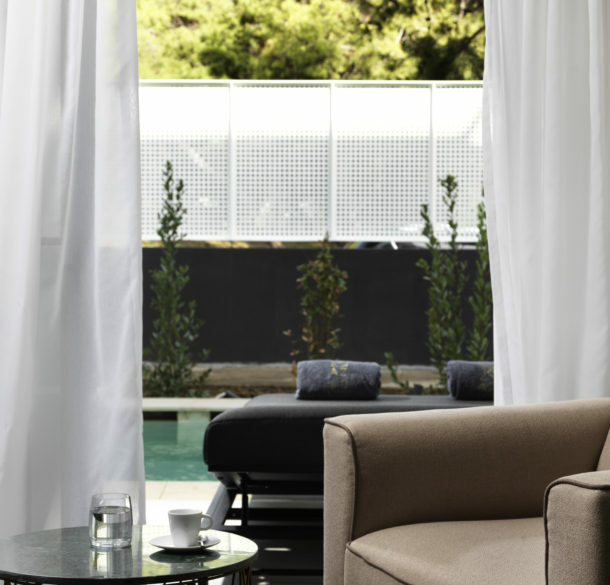 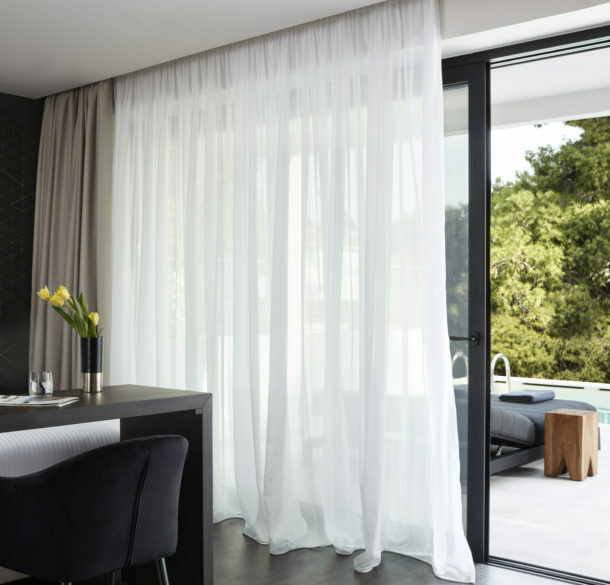 Relax in one of Azur’s pristine, peaceful rooms or suites with private balconies offering views of pine trees and all the privacy you could ask for while still being close to Vouliagmeni beach and the area’s glamorous restaurants, bars and shops. 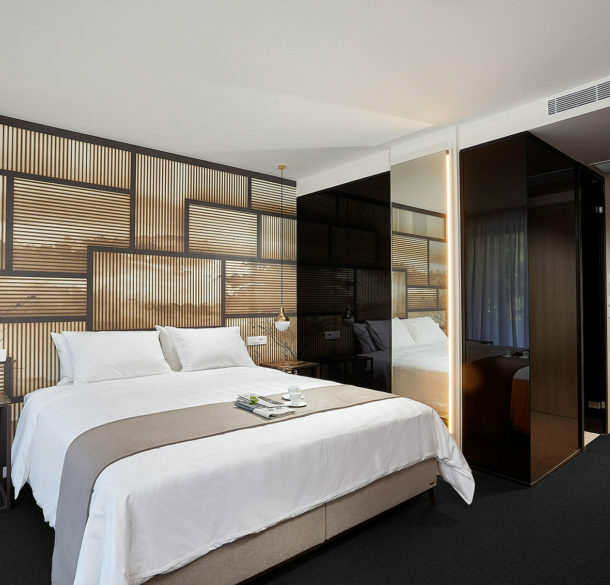 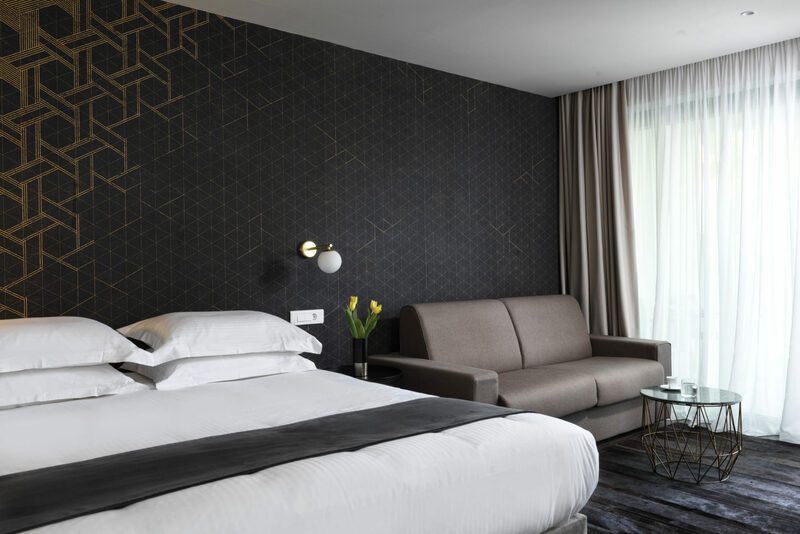 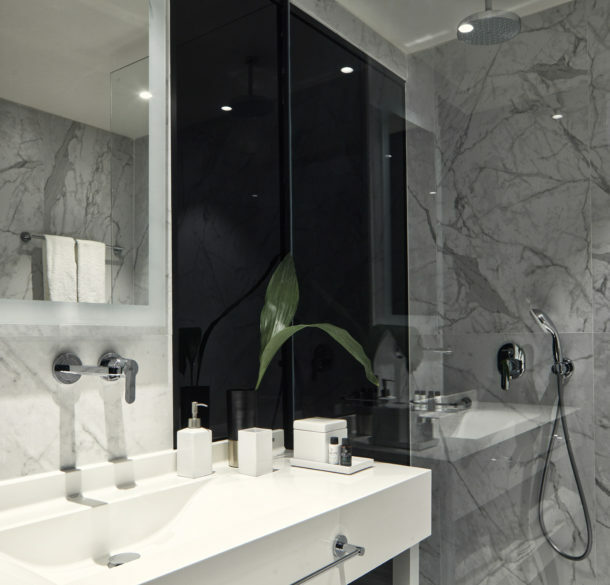 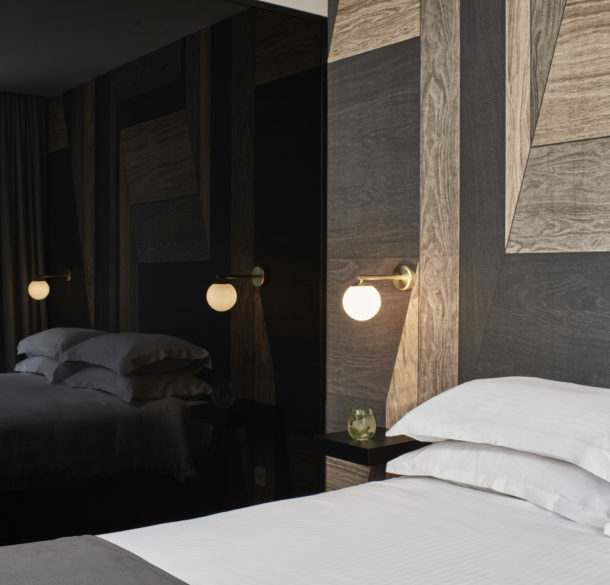 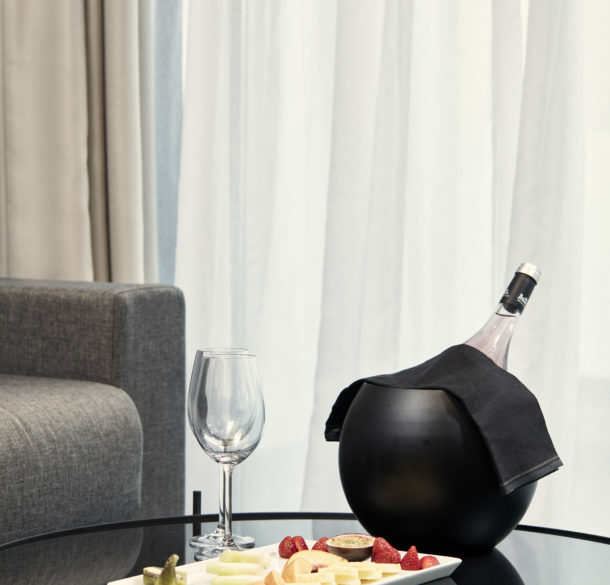 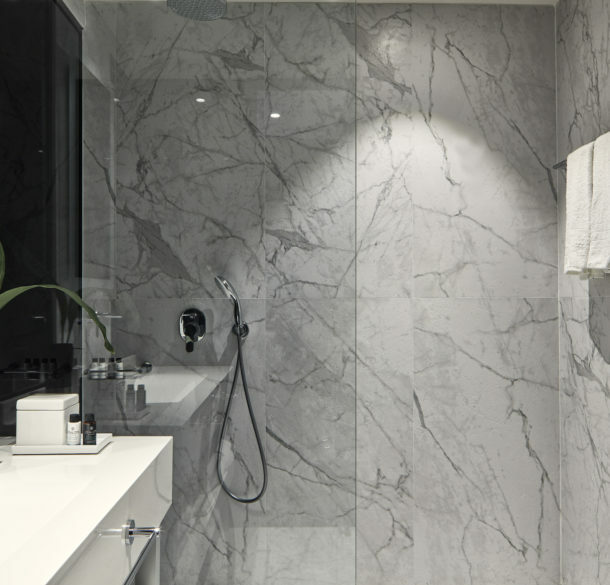 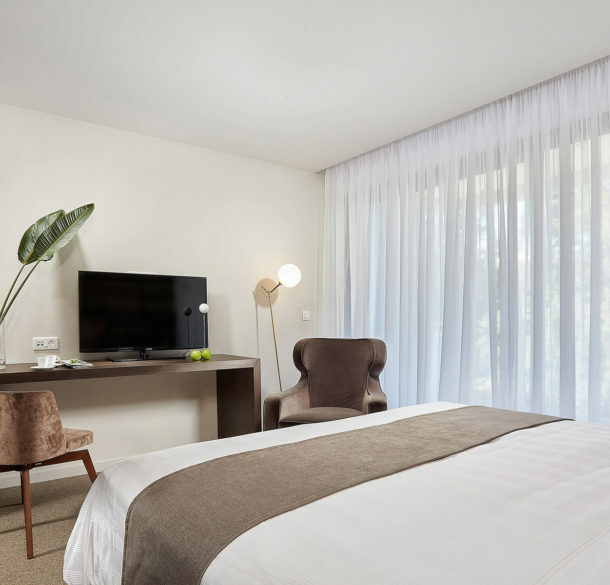 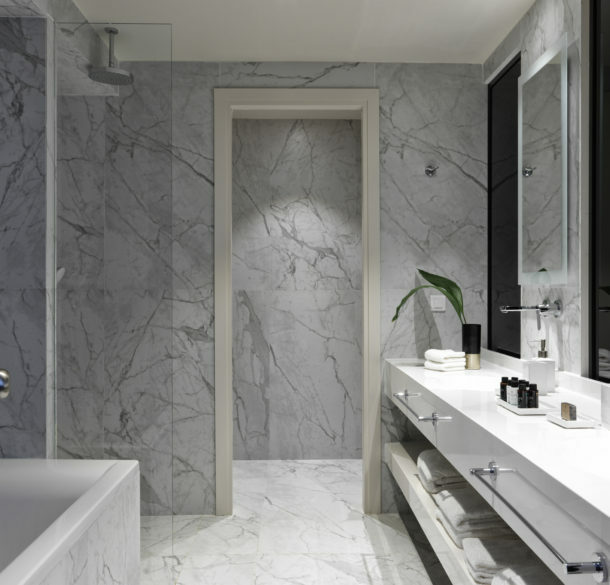 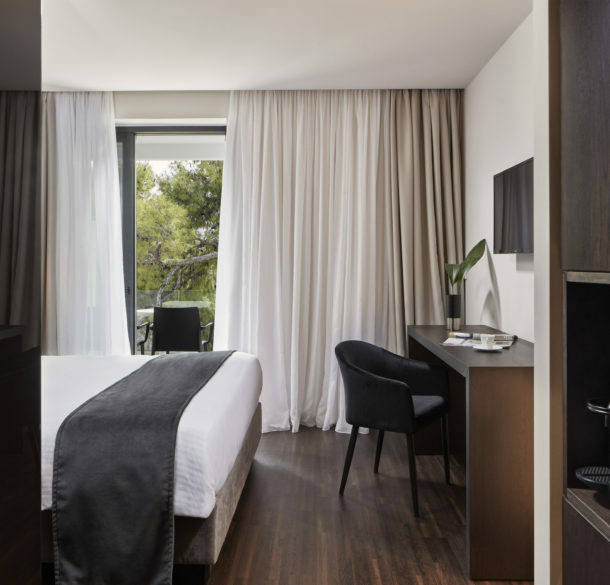 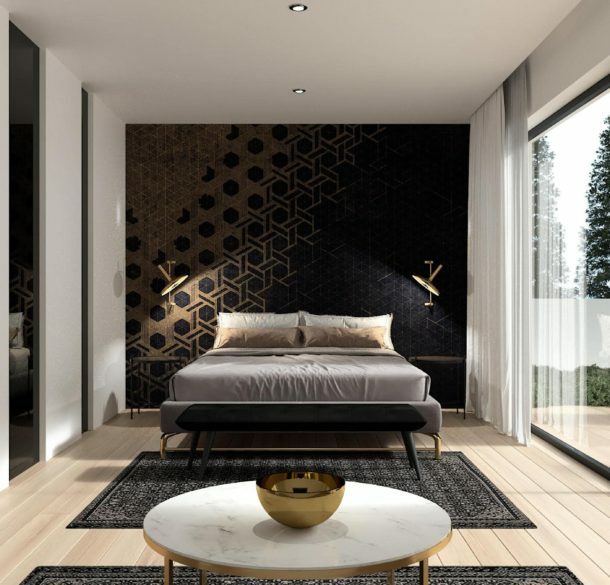 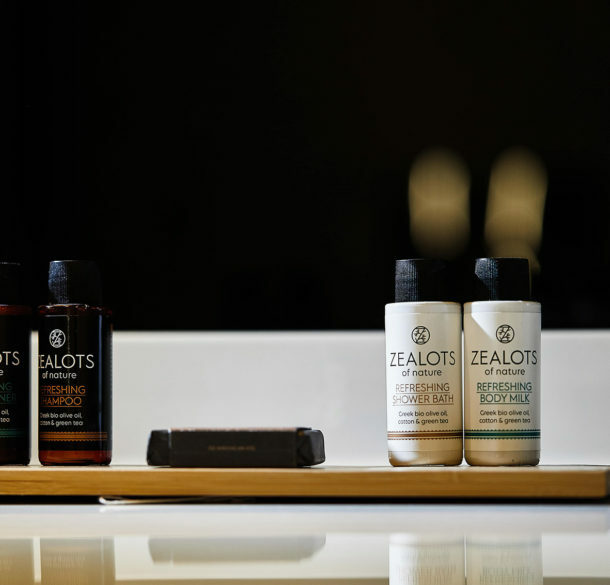 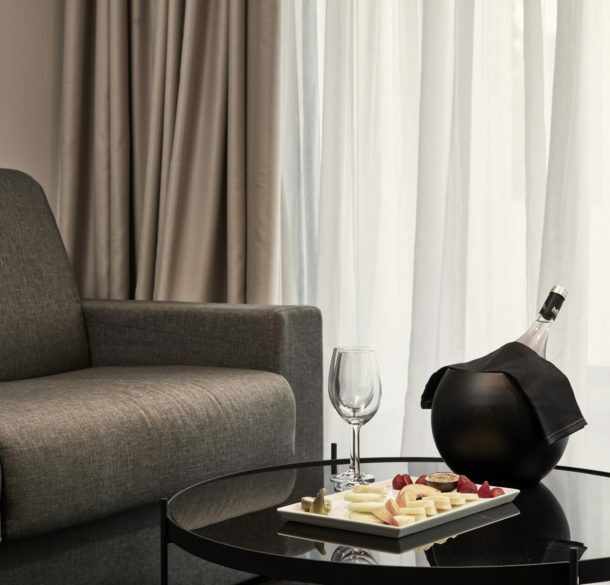 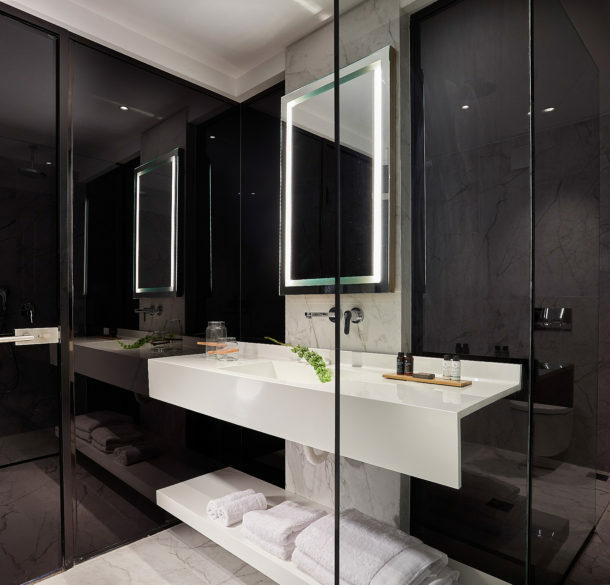 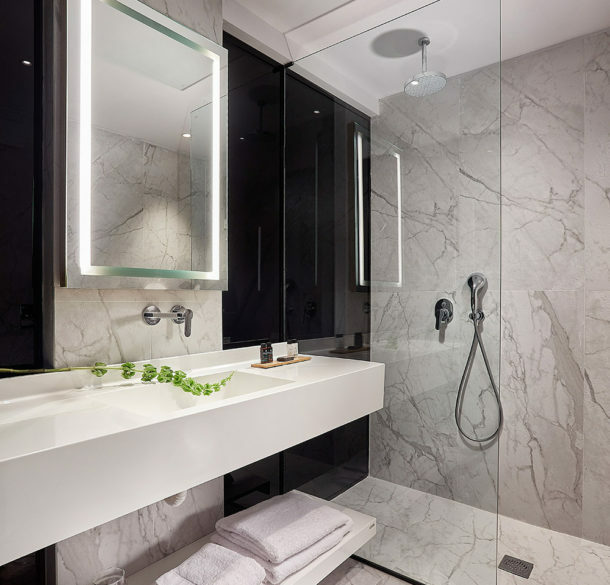 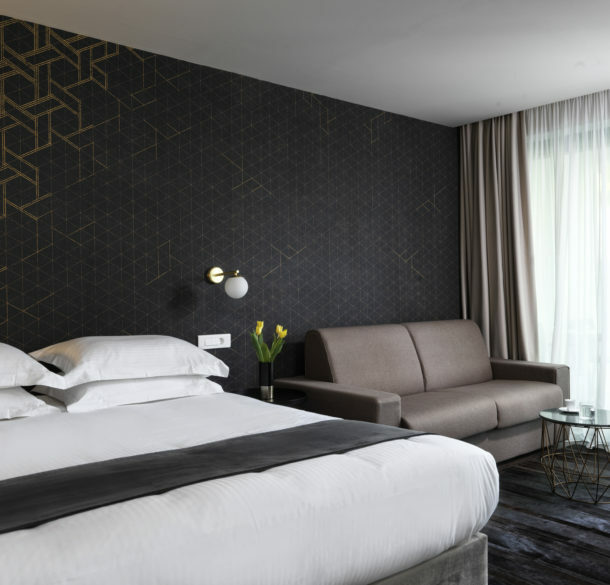 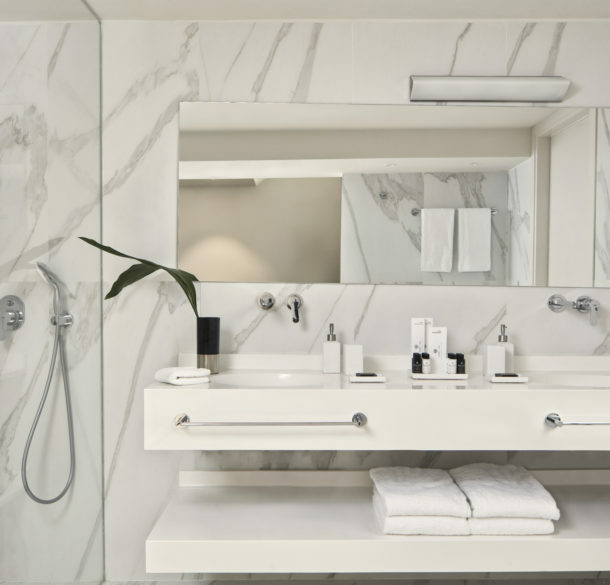 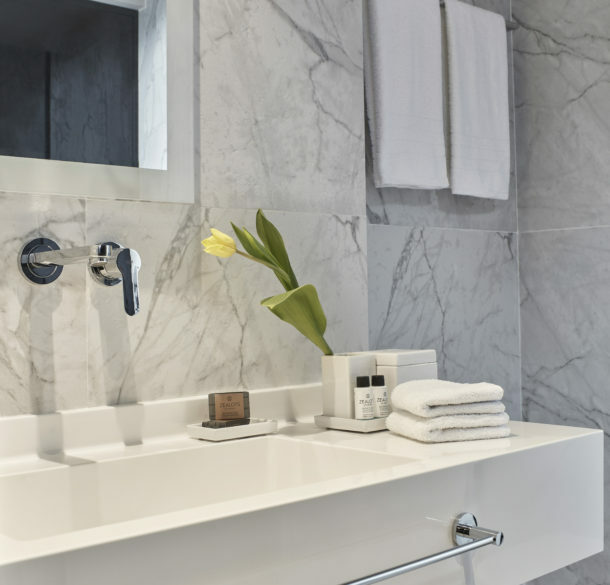 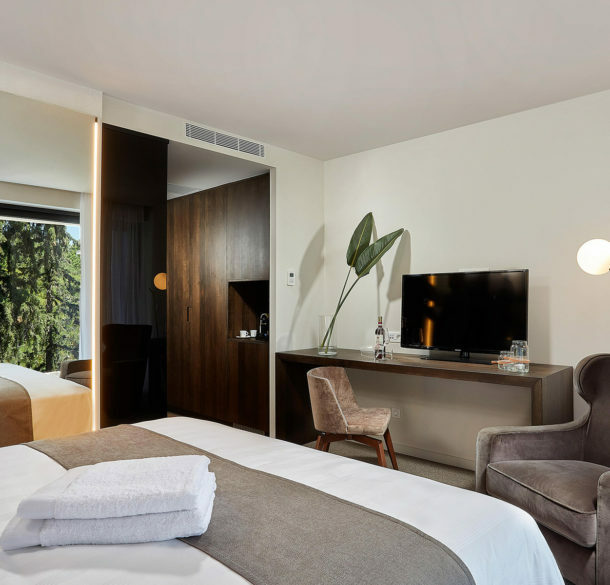 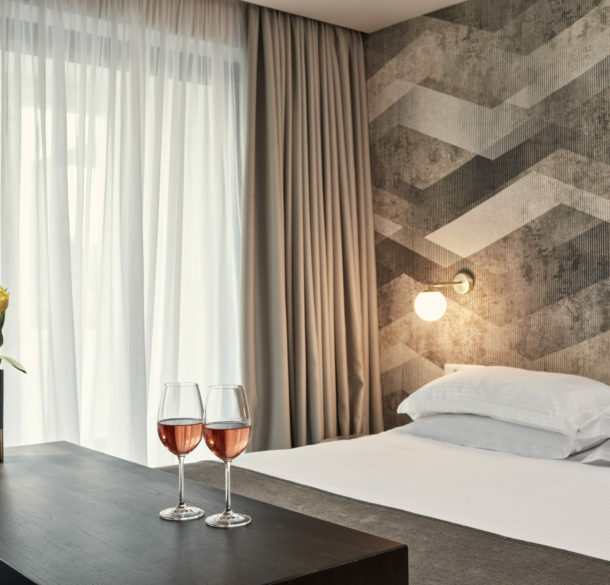 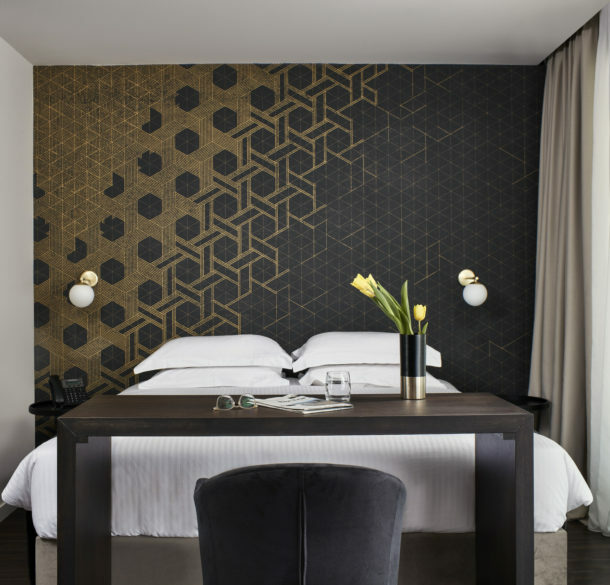 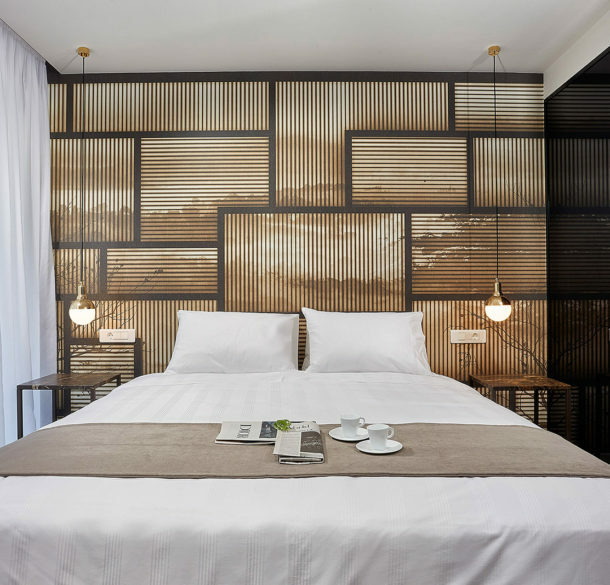 Each and every space has a contemporary, yet cozy style and is enriched with luxurious amenities aiming to provide you with everything you need to begin your exciting days in Athens or recoup after a long day of sightseeing, romance, fun and/or work. 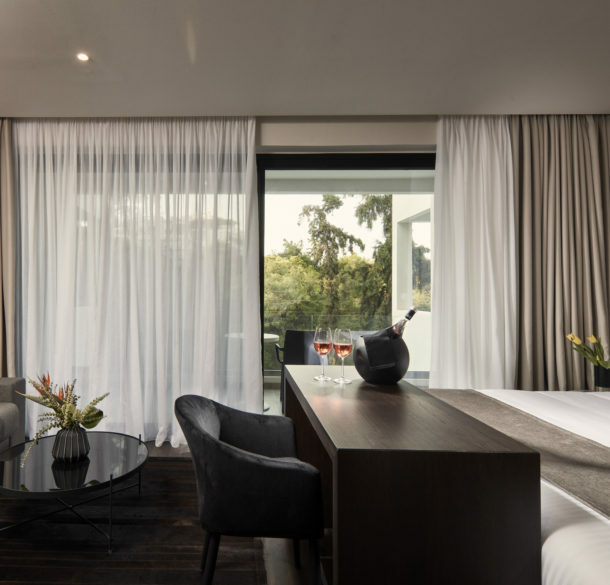 All 40 rooms and suites are front view, with large terraces overlooking lush greenery. 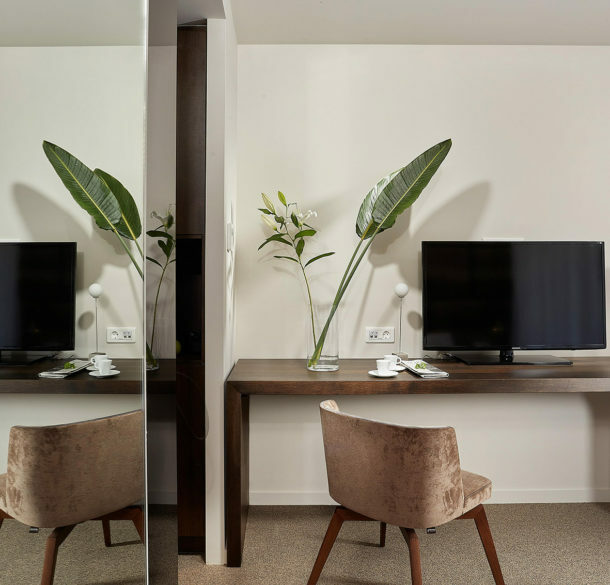 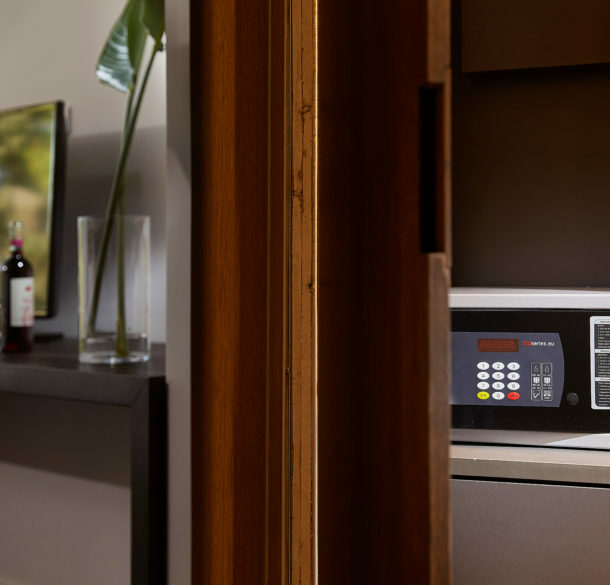 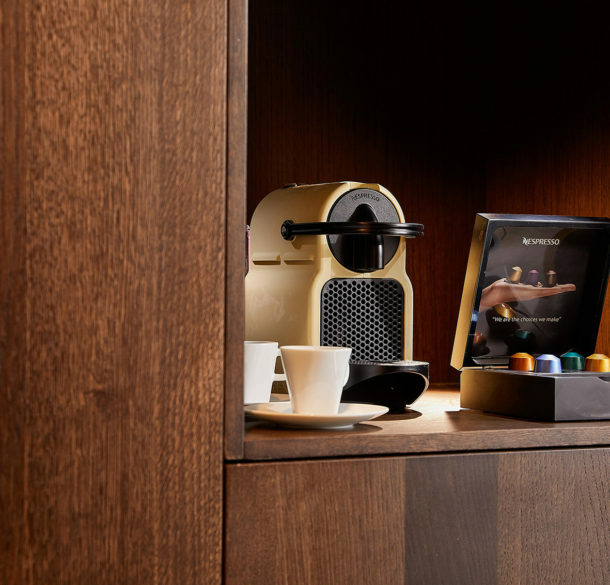 During your stay with us you will enjoy high-speed internet access throughout the entire hotel, convenient business services at our 24 hour reception desk while our friendly and experienced staff will make sure your stay is truly memorable and comfortable. 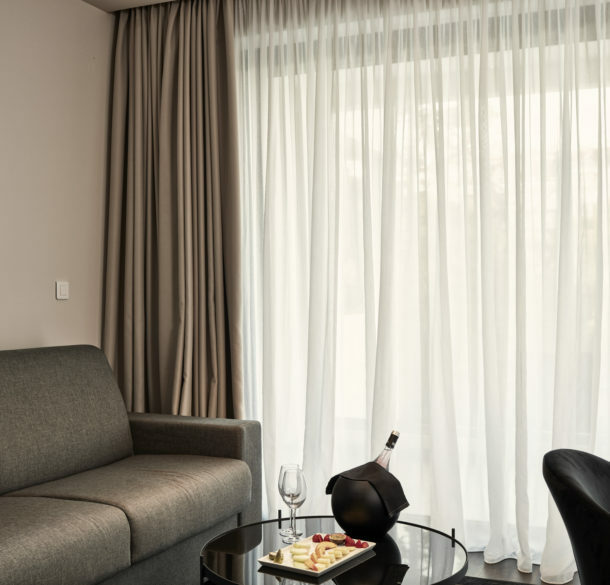 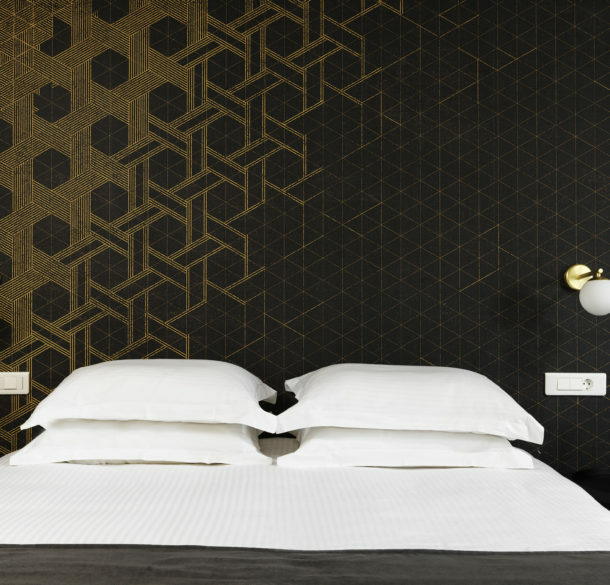 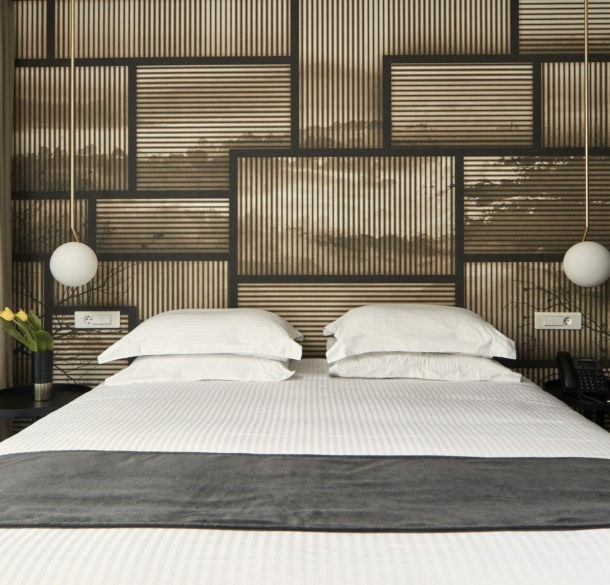 Feel at home in one of our 16 impressive Executive Double or Twin Rooms of approximately 24 square meters. 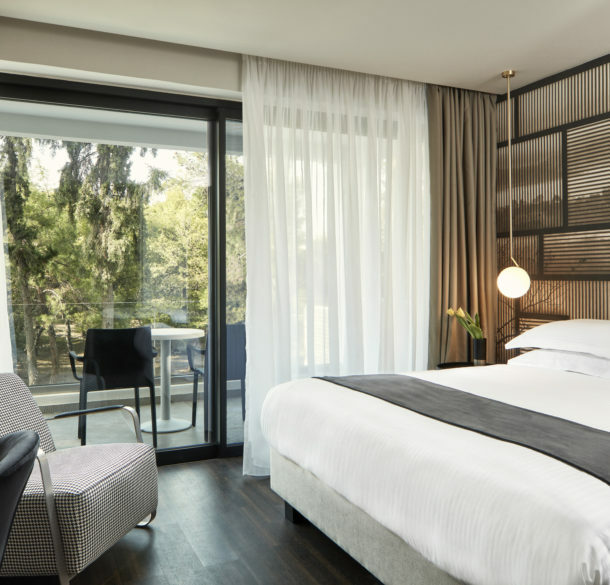 Embrace the distinctive luxury of our 6 standout Junior Suites equipped with quality amenities offering you endless moments of relaxation amidst peaceful settings. 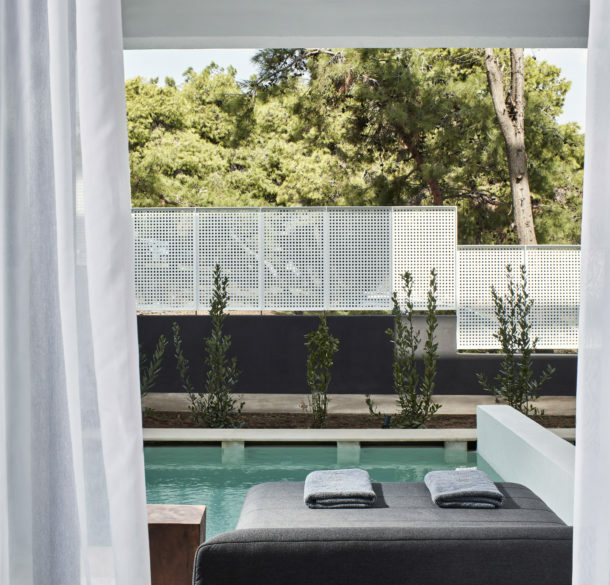 Indulge in exclusivity and privacy while experiencing the tranquility of one of our 8 phenomenal Deluxe Rooms with a Private Pool.